Last month, I received a report forwarded by a taxi driver, which later turned out to be erroneous. It was a grave mistake for the driver to claim that a new category of licence known as “e-hailing taxi” will be introduced and vehicles under private registration can no longer be used for e-hailing services unless converted from private to commercial use. It was also not true that these “e-hailing taxis” will have to be insured under the taxi category, which will cost several times more than private vehicles. If private cars must be licensed and insured under taxis, I predicted that part-time e-hailing drivers would give up as it will be no longer worthwhile for them to continue operating. However, a fast track and cheaper programme have been designed for e-hailing drivers to obtain a public service vehicle (PSV) licence without having to go through a lengthy and expensive process like taxi drivers. From April 1, the PSV module for training e-hailing drivers has been made available at 211 approved driving academies and e-hailing centres nationwide, according to Road Transport Department director-general Datuk Shaharuddin Khalid. The deadline for all e-hailing drivers to possess a PSV licence is July 12. Instead of rallying drivers to register for training and prove to the Ministry of Transport (MOT) that the waiting lists go far beyond the deadline, many e-hailing operators have prematurely called for an extension. A few disclosed that some of their drivers have already closed their accounts and collected all payments due to them. If true, the mentality of these drivers is suspect, as they could still continue unhindered until the deadline. If part-time drivers do not bother to attend a short course, sit for the objective test and apply for the PSV licence after passing health and background checks, then they lose out to taxi drivers, many of them semi-literate, and had spent more time and money to obtain their PSV. Interestingly, taxi companies have never called on the authorities to relax PSV licence requirements or even lower the passing marks as some taxi drivers were successful only after several attempts. But e-hailing companies are getting used to the free rein they have been enjoying since they began operations. E-hailing services in Malaysia using private cars started five years ago, and have now mushroomed to 35 registered operators, with many of them newcomers. Just like telcos, the market is best served by no more than a handful of efficient operators. Many are bound to die like flies and close shop like radio taxi companies, as they could not supply taxis during the rush hour. Radio taxis would have been popular if all cab operators in the market had consolidated and passengers need to call only one hotline number to reach all available taxi drivers. In this way, the chances of getting a taxi would have improved several folds. The attrition rate for both e-hailing operators and drivers will be extremely high in July but great opportunities come with every major crisis. Smart e-hailing operators have already drawn up their strategies but those without are likely to make some noise just like taxi drivers have done in the past. As for e-hailing drivers, they are bound to complain even though the move will benefit those who are serious. But not all complaints should be taken seriously as many people seem to be complaining by speaking negatively out of habit, even when the going is good. Fulltime e-hailing drivers should stop complaining that they have to put aside a day to attend a course and another day for vehicle inspection as they will be getting much more trips and earning higher income from July 12. If they cannot do that, they have lost out to taxi drivers. For part-time e-hailing drivers, the inconvenience of getting a PSV licence and sending the car for Puspakom inspection annually would be worth the trouble, as with fewer part-timers, they will earn much higher income that they desperately need. For sure, many casual e-hailing drivers will drop out after July 12, but their loss will be the gain for those who remain. For those who have not tried out as an e-hailing driver, the second half of this year will be the best time to join the fray. Whether driving full or part time, they are likely to be smiling from ear to ear, as such golden opportunity comes only once. While others go bust by walking away from a minor challenge, it will be a boom time for those rising to the occasion. As for the passengers, they will be driven by more professional drivers and no longer have to put up with the antics of casual or novice drivers. And if e-hailing rates shoot through the roof as warned by some operators, there is always the option to hail a taxi at regulated fares. 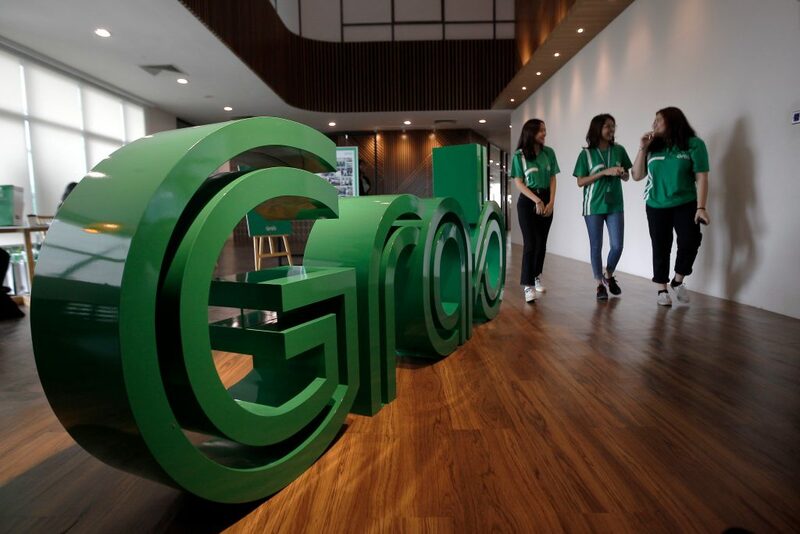 Grab started as a taxi app in 2012 and introduced e-hailing to Malaysia, not Uber which came in 2014 and exited last year. Grab has continued to offer taxi service in its app and passengers could easily compare rates with private cars. MOT should ensure the services of both taxis and private cars used for picking up fare-paying passengers through e-hailing continue to thrive so that the public is not held to ransom by one. Boom time coming for serious e-hailing drivers 0 out of 5 based on 0 ratings. 0 user reviews.